The likes of Apple and Amazon have been far from friends of the small business nor American consumers lately; as the tensions between consumers and increasingly large global corporations escalate. While dealing with individual megacorporation’s malpractice can be a daunting task on an individual level, the stakes become far larger when multiple companies collude on the same issues in attempts to smother resistance from consumers. Yet some of the most archaic restrictions – those centered around repair and resale – had been some of the most longstanding unjust corporate policies. Essentially companies like Apple don’t want people fixing their stuff on the cheap; they’d much rather have you come pay them an extortionate monopolists fee for quick fixes. More so they’d *much* rather you simply give up on repairing your previous purchase altogether in favor of buying another product. This basic business principle has long operationalized in the form of ‘warranty voiding’ seals and policies using fear and threats of invalidated products to scare consumers off fixing things themselves or going to the local shop. Some companies will simply make it impossible to do so with additional hardware; just try taking the Toyota installed car battery out your Camry without the company’s ‘special tool’ for doing so. “For 10 years, John Bumstead has had a small but profitable business buying old Apple laptops in bulk, refurbishing them by hand, and selling them to wholesalers or via Amazon.com for about $150. They’re good, working machines saved from obsolescence to bring the Apple experience to buyers who can’t afford the company’s super-premium prices. “I give these computers a second life,” Bumstead told me from his home in Minneapolis. These new Amazon restrictions coincided with a deal announced making new iPads, iPhones and Apple Watches available on Amazon for the first time (the online merchant previously sold Apple computers only). 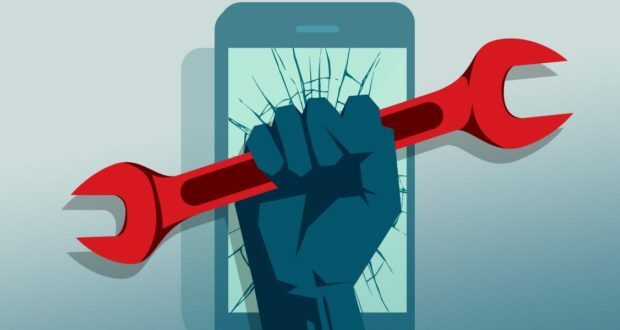 “Over the last few years, the rag-tag Right to Repair coalition has scored a number of victories: legalizing cell phone unlocking in Congress, getting the FTC to rule “warranty void if removed” stickers null and void, and convincing the US Copyright office to grant a number of repair exemptions to federal copyright law. And in 2018 alone, Right to Repair made groundbreaking headway on the state level: 19 states introduced Right to Repair legislation—a big uptick from 12 repair-friendly states in 2017. While companies like iFixIt might have a clear financial incentive to break open the repair market for ‘top tier’ products, the reality is we – the consumers – will always benefit from market competition. In a free market system if someone can repair Apple products cheaper than Apple they should absolutely be permitted to do so whether Apple likes what it’ll do to their bottom line or not because that’s the most efficient outcome possible for us as consumers. Companies like Amazon and Apple’s arguments include that publishing repair information threatens their intellectual property, and that providing consumers with the ability to maintain their own products will be too dangerous. Editor’s note: It’s becoming a common trend for manufacturers to maximize profit by radically reducing customer value in certain respects. The idea that only the manufacturer should be able to repair equipment is a poor decision that can only make money in a monopolistic environment. In a truly competitive environment this would not occur. Perhaps another look at the anti-trust laws is in order. International MBA Enrollment Declining – Here’s Why!